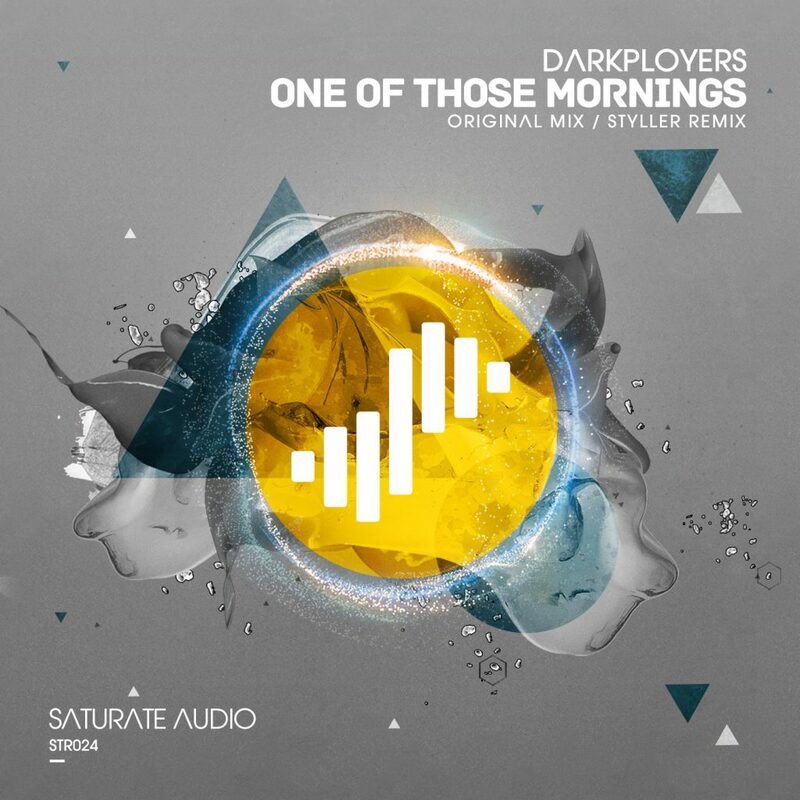 The very talented Polish producers Darkployers land on Saturate Audio with their fantastic production One Of Those Mornings. If you follow the dark, mysterious, thrilling and chilling deep trance sound of Saturate Audio this release is perfect for your dj sets. The original mix is a deep haunting composition with rolling basslines, pumping techy beats and cinematic strings that slowly build the anticipation for the breakdown and on top cool film like spoken vocal samples. The revelation of the massive euphoric distorted dark and moody synthy lead will create mayhem on the dancefloor. The mesmerising colourful melodies and the dreamy soundscapes continue in the climax while some parts of the synthy lead shine for a while to create that epic feel for the track. The co-owner of the record label Styller is on remix duties and he did miracles once again. He certainly has the midas touch and this remix is the proof. While the remix is quite slow 125 BPM actually sounds really fast and dynamic. Packed with action and great dark and sinister mysterious cold blooded melodies this remix has the amazing quality to be able to transfer you straight away inside its own soundscapes. Its very hard not to feel carried away from the depth and emotional content of this highly atmospheric trancer. Love IT.